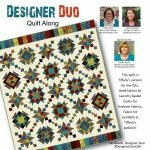 Designer Duo QAL - Fabric Kit for Tiffany's version of the Quilt. Kit contains fabric for the Quilt Top & Binding along with the pattern book. Fabrics are Batiks designed by Edyta Sitar of Laundry Basket Quilts for Andover Fabrics. 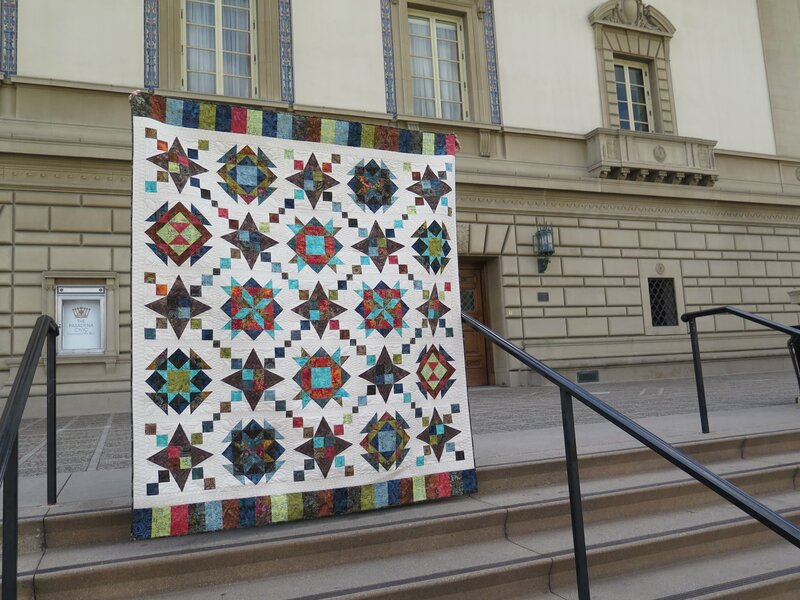 This is a beautiful collections of fabrics and Nancy Rink & Sarah Maxwell have designed a wonder Quilt Along program starting April 6, 2018. Finished quilt size: 69" x 79". Suggested for the Quilt Along is The Goddess Tool.